Purchased from BevMo in Fresno, California. Poured from a 22 oz bomber into my stemmed ale glass. 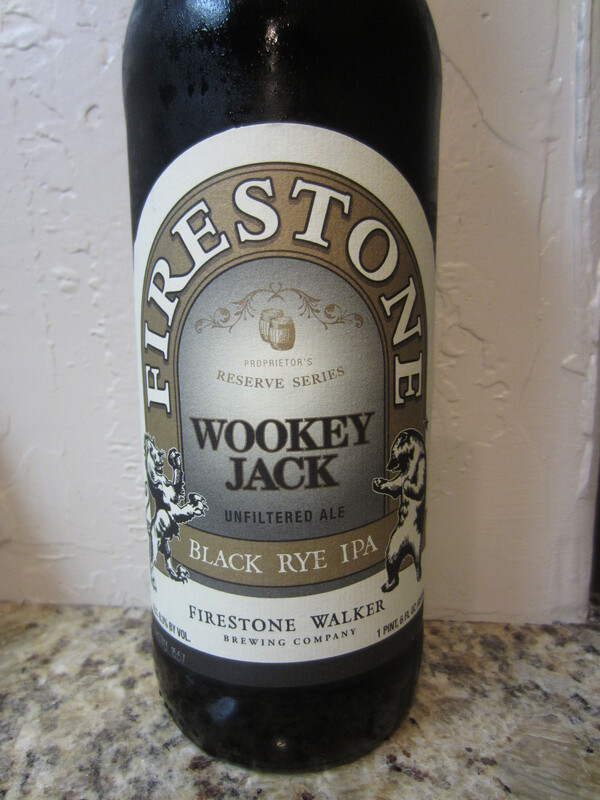 Wookey Jack is nearly solid black, with some brownish-red coming through on the edges. A big frothy head is poured, brownish-tan in color. 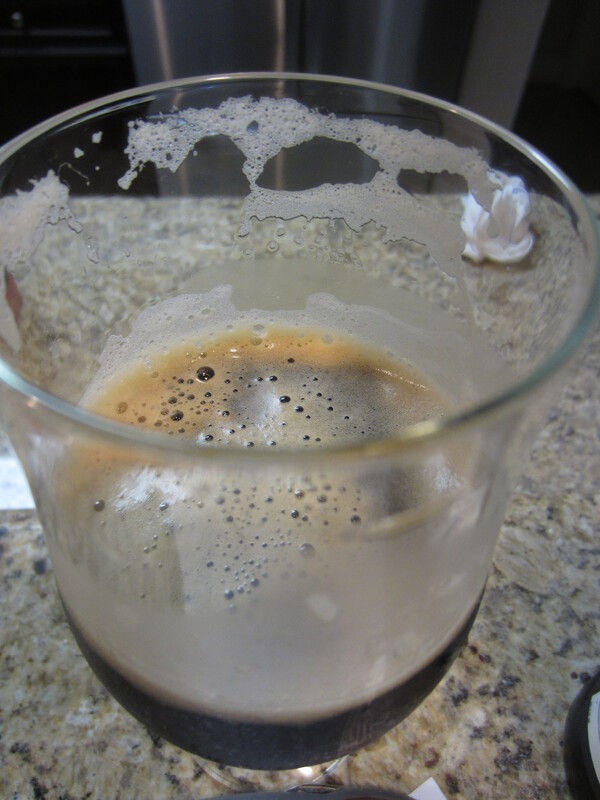 Light carbonation is visible, and thick lacing is left on the glass throughout. Big piney and citrus hops are the main aromas, while spicy rye notes blend with light roasted malt characteristics. There are also mild earthy tones, and just a hint of alcohol. A rich bodied ale – not overly bitter from the hops or overly effervescent from the carbonation, though both offer a noticeable presence. The flavors follow the nose well, with the resinous, piney hops again being predominant. There are some earthy characteristics as well, likely a result of this being an unfiltered beer. In the aftertaste, roasted malts come through to blend with the peppery rye and piney hops to linger on the palate. I’ve bean meaning to get around to reviewing this beer for quite a while now, but I kept drinking the bottles I’d picked up without reviewing it. It’s only appropriate that I make it my return review from a bit of a hiatus. As you may have noticed from the photos, my wife and I have finally moved and settled into our new house, so the beer (reviews) should begin flowing again. 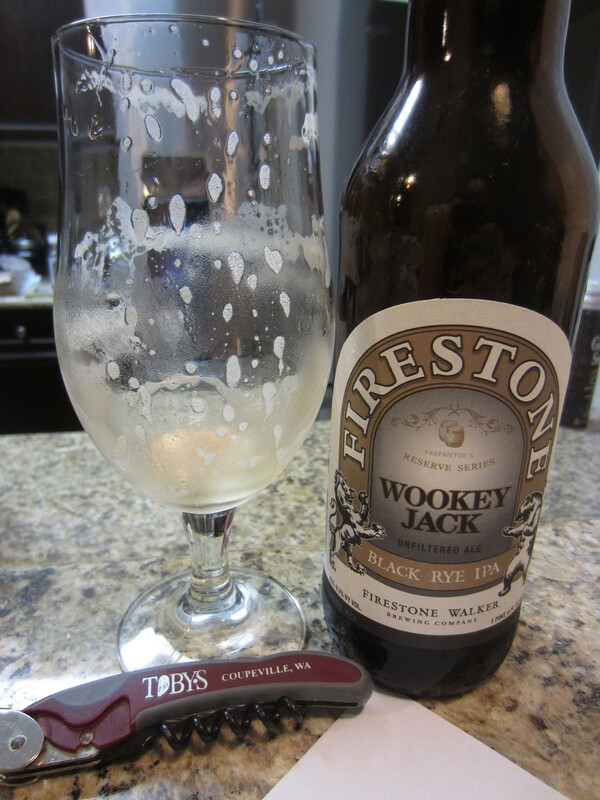 Overall, Wookey Jack is a very good brew. 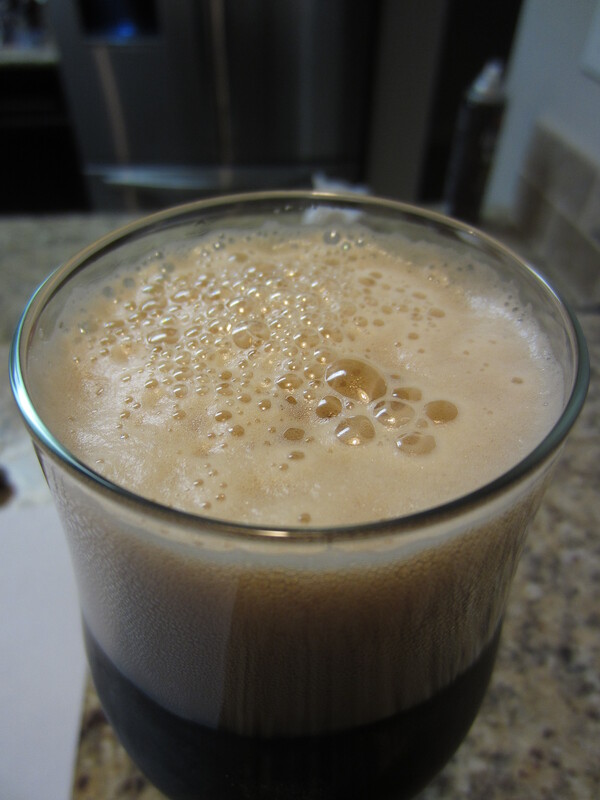 It brings together two of my favorite non-traditional IPA styles in black, roasty IPA’s and rye malt IPA’s. The flavors blend well and there is just the right amount of hop bitterness. 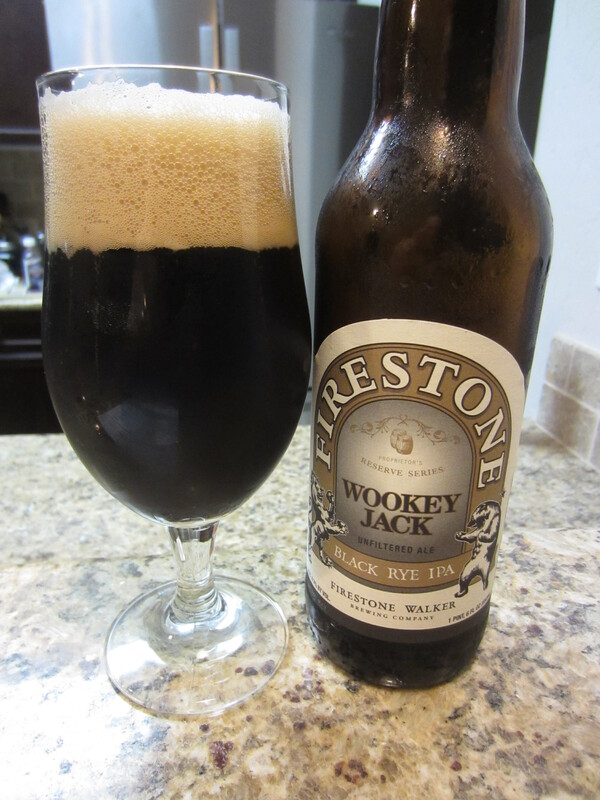 Like most of the Firestone Walker brews I’ve had on tap, there is a slight degradation in the transition to the bottle, but that’s probably the only complaint I have about Wookey Jack. 8.5/10.